Have been having plenty of chocolate craving moments lately. The latest Lindt dark with sea salt is pretty special for an afternoon fix. 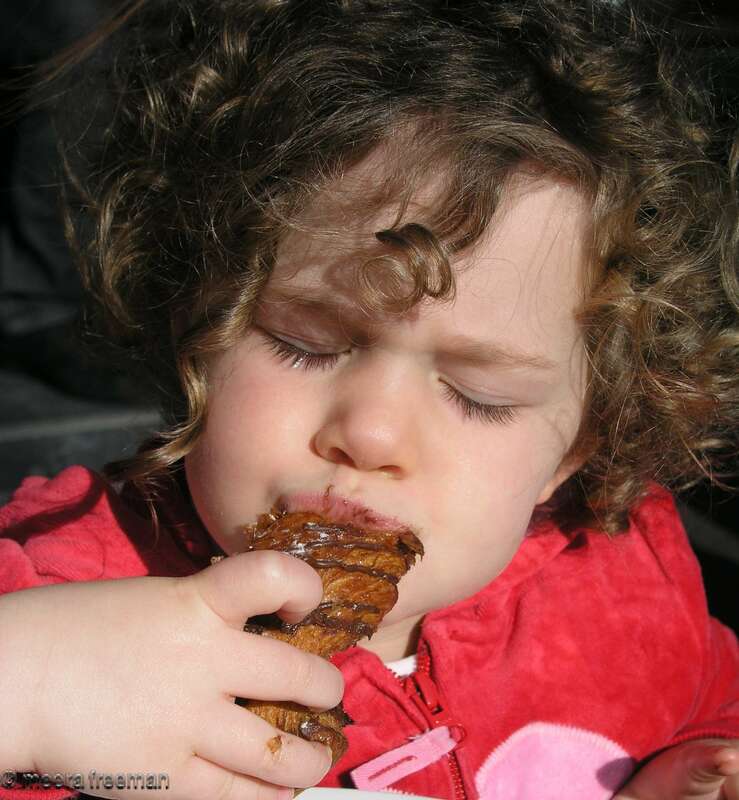 My great niece, pictured above, is already a connoisseur of fine chocolate and very fussy about the quality of the pastry and filling of her pains au chocolat. We share a weakness for those baked by Babka Bakery and Cafe, 358 Brunswick St. Fitzroy. Just had to share this image of chocolate ecstasy!